Now that the weather is getting better and your sending the kids outside to play and get fresh air, are you looking for things for them to do? How about a fun game of bowling? No I don’t mean taking them to a bowling alley. Not only can it be pricey to do that, it is not spending time outside. You can play a game right in your back yard! You don’t even need to spend any extra money on a set either. You can make one from items you probably already have! 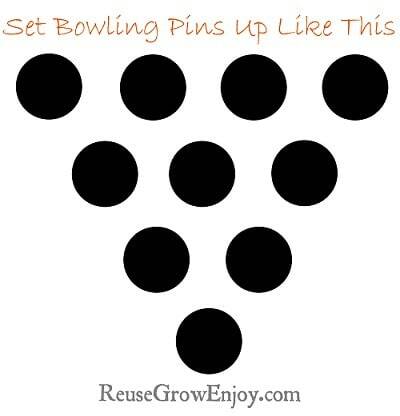 You may be wondering what you need to make a bowling set. Well it is actually pretty simple! You need a large ball, soccer or basketball will do just fine. 10 plastic bottles of some kind with the caps. 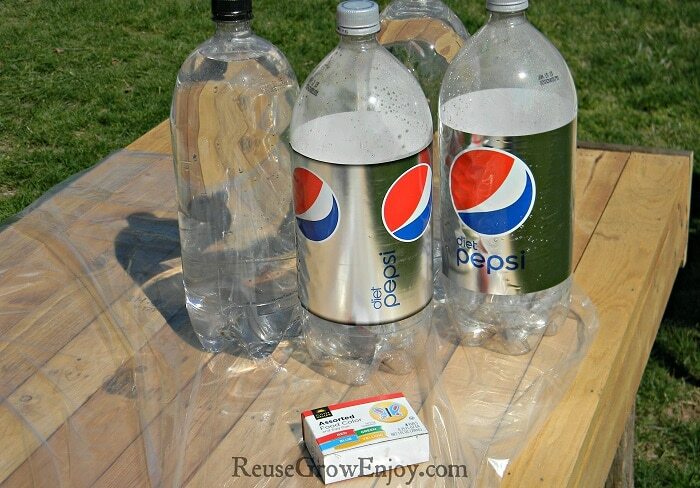 2 liter soda bottles work the best but you can also use water bottles or regular soda bottles. 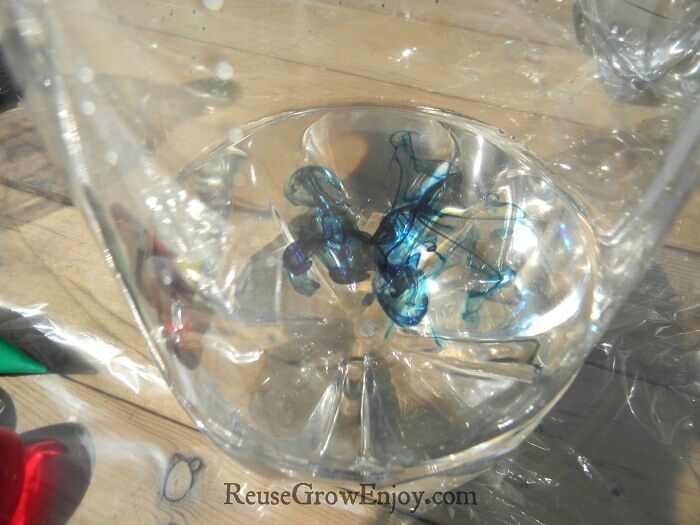 Just be sure they are plastic and not glass as we do not want to have to worry about broken glass. 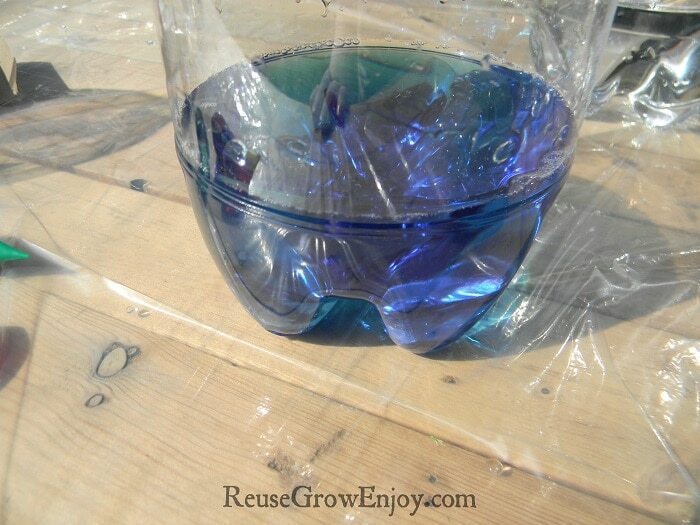 The only other things you will need is water and food coloring. Simply take the label off each bottle. 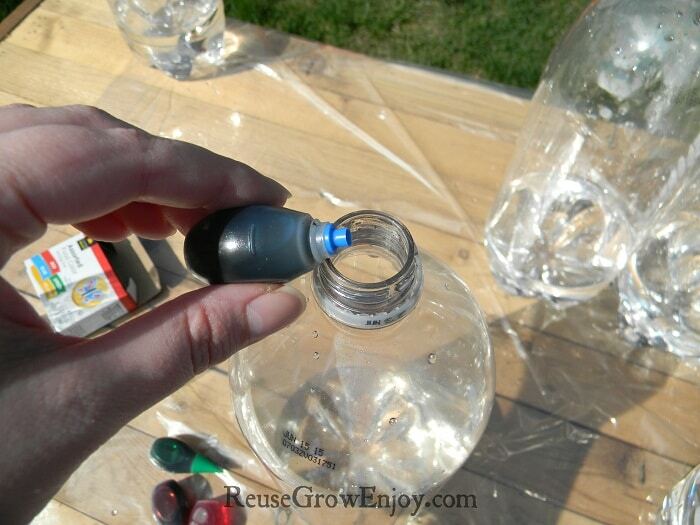 Then fill each bottle about 2 inches the way full with water. 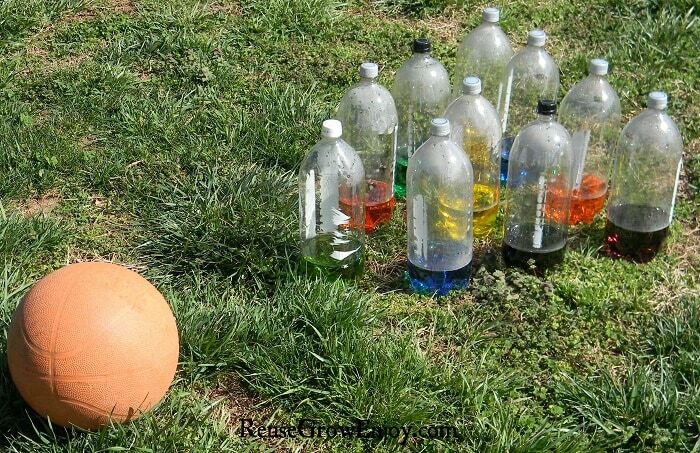 Add food coloring to each bottle. And then give a shake to mix. 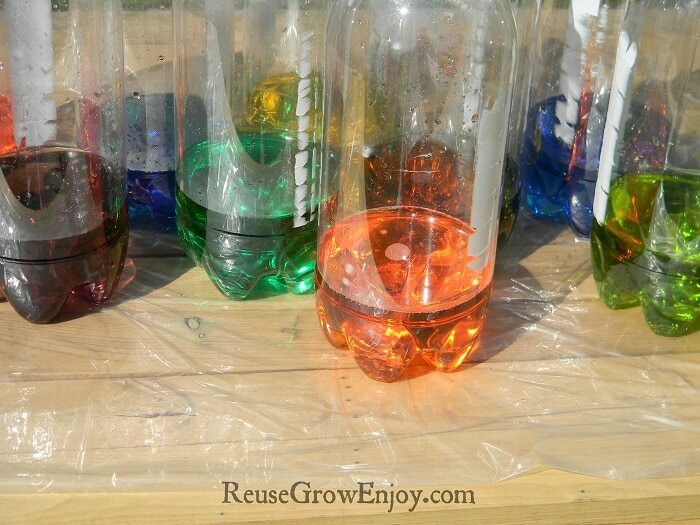 Try to make each bottle a different color as it is just fun to look at. 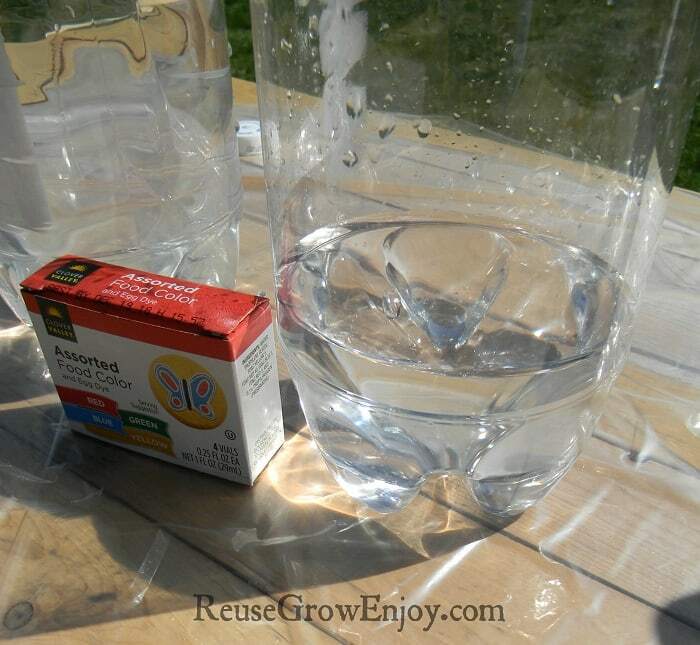 Place the cap back on the bottles and be sure that they are on tight. 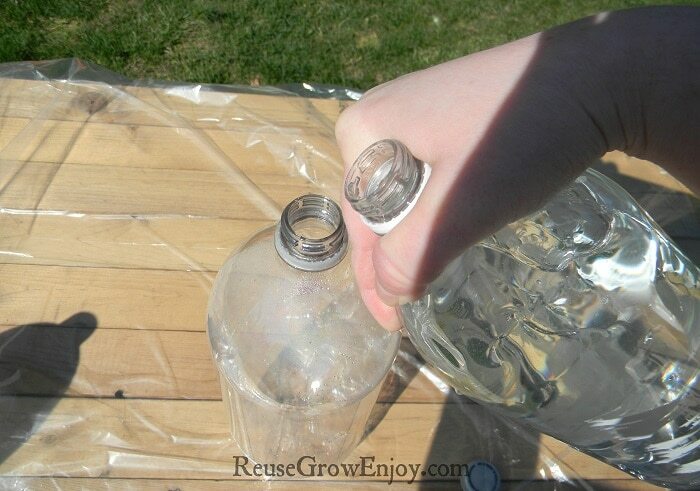 You can do this without the water and just use the plastic bottles. 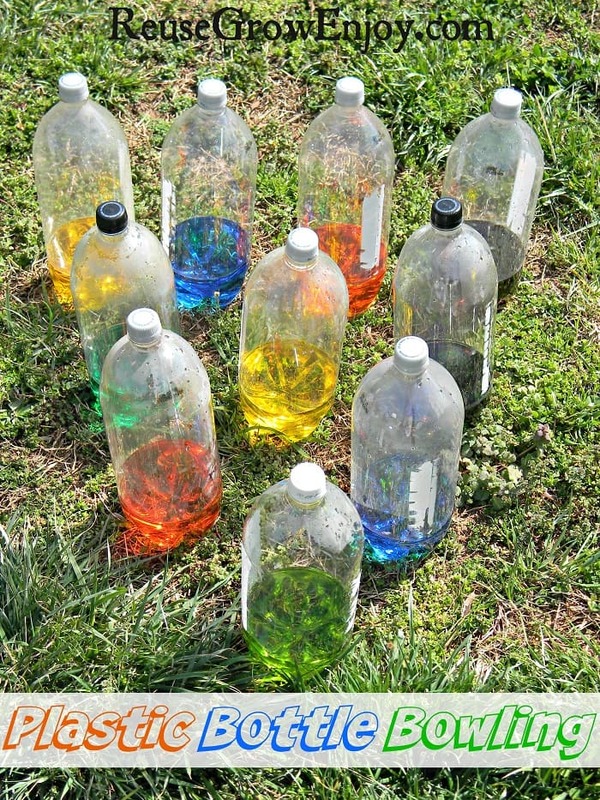 However I have found that they water helps keep the wind from blowing them over before the kids can knock them down. Plus it helps them stand up on un even ground. That is it! Now hand them the ball and send the kids outside to play! I love being able to find stuff to keep the kids busy and outside. Plus it is always nice to be able to keep them busy and not have to spend money either. 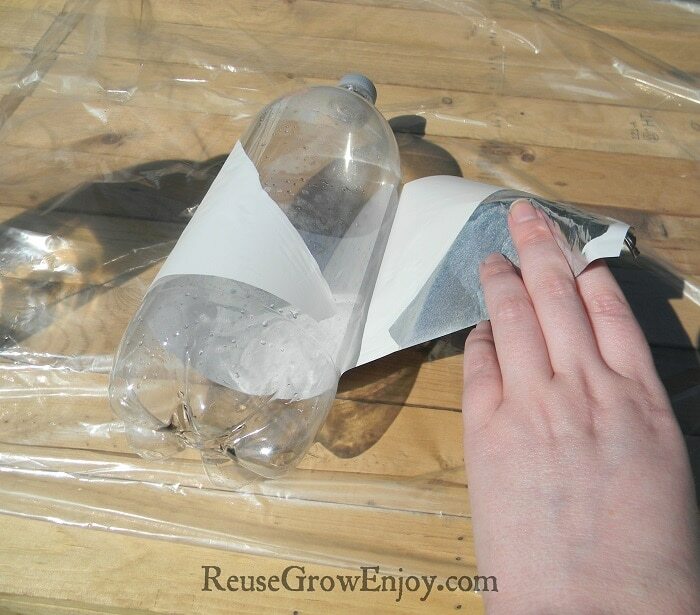 Super easy to make and no doubt hours and hours of free fun! I do enjoy a good repurpose project especially one like this. I like the colored water. So happy you are enjoying it Shirley! We made these last summer and it sure made for weeks of fun! Getting to be that time to be making them again this year.